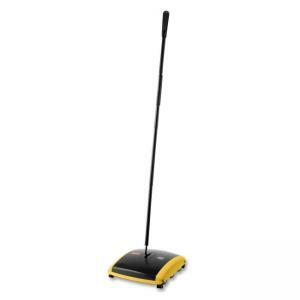 Dual action sweeper features two types of brushes to provide maximum cleaning and versatility. Designed for use on bare floors and low pile carpets. 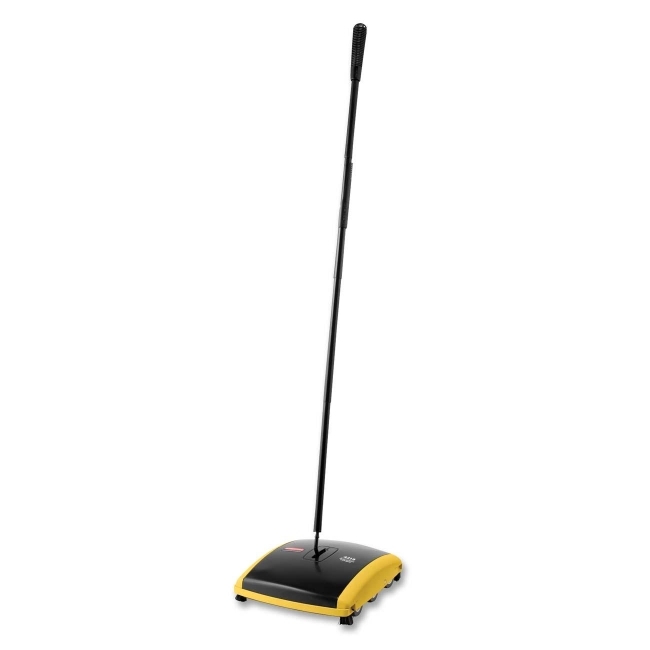 Especially effective for large debris as well as small crumbs and dirt. Dual action sweeper features a dual debris pan with one-touch cleaning doors, a wide 7-1/2" sweep path with protective bumper and natural corner brushes. Soft rubber wheels and brushes conform to floor surface. Made of durable galvanized steel and tough ABS plastic.